Have you ever tried to catch a leprechaun? The little green Irish men are often tied to March 17, St. Patrick’s Day. As the story goes, these men, thought to be no taller than a child, spend their time making shoes and storing coins in a pot of gold often hidden at the end of a rainbow. If captured, lore says the leprechaun must use their magical powers to grant three wishes in exchange for their release. Kids are known to try to set traps for these creatures on this very day. 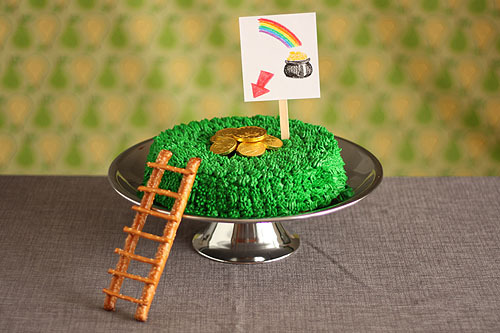 Today we’re sharing a fellow blogger’s recipe to create a cake trap.